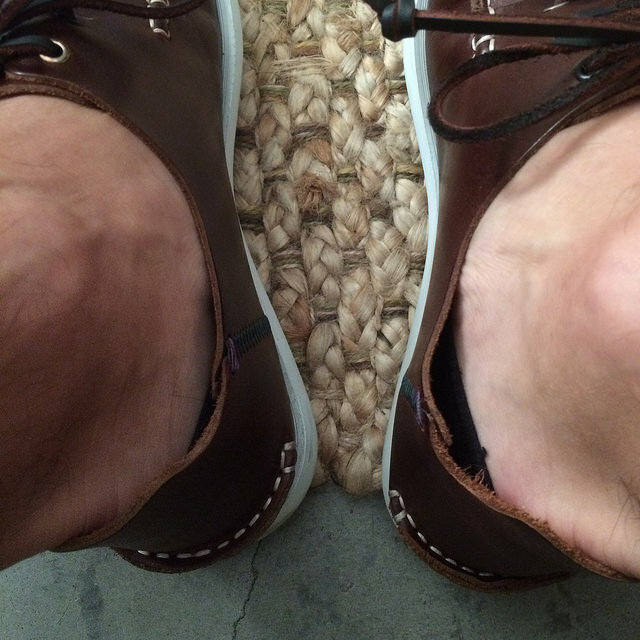 To be clear, I haven’t attempted any other brands of no-show loafer socks. As with most efforts, I, like other underachieving intellectual millennials, prefer to choose once and be right the first time. Nothing feels more efficient than not having to try, try again. Going sock-less (or at least the look) has become more popular recently. I have worn loafers without socks for years, and only now am rethinking my attitude about ruining shoes over time with sweaty feet, which is inevitable with them stuck in leather sleeves for eight or more hours. Many others have attempted the elusive loafer sock, though most end up peeking out at the vamp or slipping mid-wear. Falke’s iteration does neither. The shape of the knit, and use of rubber pads on the inside heel of the sock prevent slippage and peek-age. I should have known that the Germans undertake the challenge with grace and precise execution. Falke, sold through MR PORTER, is a heritage brand of knitwear, sportswear, and other wearable fabrics, but known for their socks. They work well and as advertised. Like consumer products should. At $15 a pair, they aren’t cheap. And being so minuscule, they’re easy to lose in the laundry shuffle. But they function well, better than I would guess the thicker, less precise alternatives do. Money well spent, in my opinion, rather than money and time wasted on inferior options. A healthy shoe regiment, starting with high-quality shoes and ending with high-quality care, like shoe-trees and suede brushes, will lengthen the life of your shoes and keep you comfortable while you wear them. Good loafer socks that protect the shoes without degrading your look are just one element of such upkeep.